The record is heavy and tight- there are sections of riffs in “Dialectric” that made me turn up the volume. The bass drums pulse with inhuman precision and the synths and loops really add something to the overall sound. The opener “Autonomous Combat System” is a monster, “Anodized” is equally beast-like. Ultimately, if you enjoyed Demanufacture, you will enjoy this- it caries on where that left off and is a fine, fine album indeed. If you are new to the band, then this is a fine starting point. Fear Factory remains unique and I am pleased to report that they sound as vital as they did a lifetime ago. Fear Factory return (again!) with this follow up to their 2012 effort ‘The Industrialist’. Confession time: I have heard two Fear Factory albums prior to this one- ‘Demanufacture’ and ‘Mechanize’. I have never heard ‘Soul of a New Machine’ or any other material. Reasons? I just don't know. Particularly as, in my view, ‘Demanufacture’ is a metal classic and really was a game changing album in that most maligned of metal times; the mid 90's. Truth be told, there were some very exciting things happening in metal during the 90's. I recall my best mate showing me a Biohazard video from Raw Power (or was it Noisy Mothers by then?) and being blown away. I remember hearing Machine Head for the first time and being overwhelmed by thinking that I was hearing the future of metal. Similarly, hearing that double kick intro that ushers in ‘Demanufacture’ was a watershed moment. The band, at that time, were doing something new- contrasting clean and harsh vocals, very precise drumming and an automated feel to the music. Little did I know at the time that the drums were triggered and often cut and pasted together (the toms were mostly lost in the recording process- listen back and you will hear what I mean!). Weirdly, I just lost track of the band after that record and thought of them as kind of forerunner to the nu-metal movement. 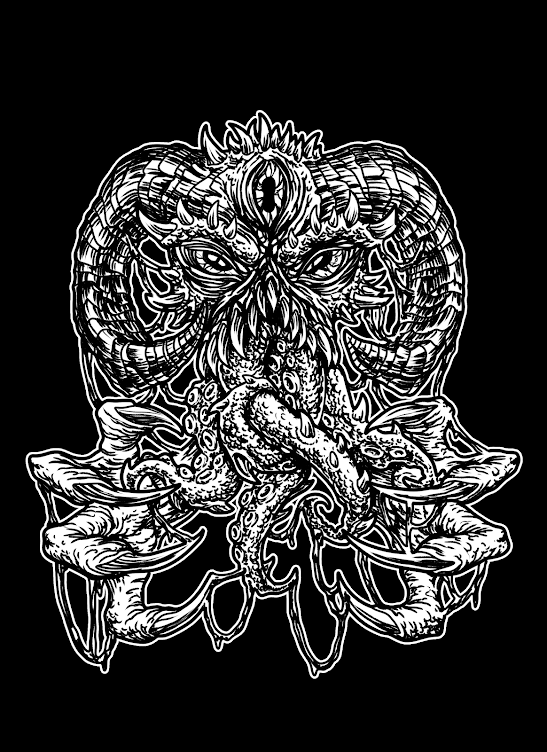 I delved deeper into death and black metal and by the time of ‘Obsolete’ I had moved on. ‘Mechanize’ (2010) interested me hugely as they brought in MONSTER drummer Gene Hoglan to play on it. He did an awesome job and the record is heavy and dark- just a touch lacking in memorable moments. I refuse to listen to 2012's ‘The Industrialist’ as it uses a drum machine and that just doesn't interest me at all (from Hoglan to...that?!?! ), so on to this release. ‘Genexus’ is good. Very good. For me, a stranger to the band for many, many years, it as if time has not moved on at all. 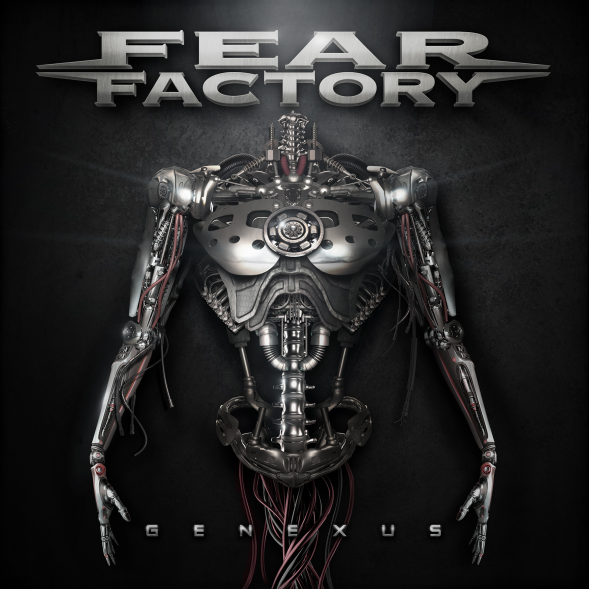 This is odd in many ways- I thought of Fear Factory as something VERY new and modern in 1995, yet here I am 20 years later saying that they have not changed at all. They found a sound. They found a theme. They went with it. Lyrically, the record features the conflict between the automated and the human and the dangers of a machine like society. Free will and emotion are at the heart of all this and it is great to hear what is essentially The Terminator films set to music. The record is heavy and tight- there are sections of riffs in “Dialectric” that made me turn up the volume. The bass drums pulse with inhuman precision and the synths and loops really add something to the overall sound. The opener “Autonomous Combat System” is a monster, “Anodized” is equally beast-like. Some tracks focus on groove and hooks, some on industrial grooves and thrashing rhythm guitars. Apparently, Deen Castronovo played drums on one of the tracks, ‘Soul Hacker’. Castronovo (currently playing in Journey, when not being indicted for a litany of crimes) is a superb drummer who played a blinder on Geezer Butler's “Plastic Planet” album back in the mid 90's... featuring a certain Burton C Bell on vocals as I recall! Mike Heller plays superbly elsewhere on the drums and Tony Campos completes the current line-up. Naturally, though, the band is really all about Bell and Dino Cazares- they are Fear Factory and their signatures are all over this record. Take the title track as an example- it is superb. It mixes synths with super precise riffing and time changes. Bell's vocals lift the record, as per, and his voice allows the sound more scope than a one dimensional vocalist would. Again, it packs a strong hook- the refrain “Suffer in Slavery” is very recognisable to anyone in employment, I think! Not every track is a stand out- and I cannot pick an equivalent to “Replica”- but every song is uniformly strong and the whole record is very cohesive. You can stick this one on and listen all the way through- as I have done twice today. For me, the more brutal material is the best stuff here- and that is exactly what I thought of ‘Demanufacture’ all those years ago. I prefer “Battle For Utopia” and “Protomech” to “Regenerate” but I like all three tracks. There is a melody, heaviness and enjoyment to be found in all of them. The album ends on the nigh on nine minutes of “Expiration Date” which offers a melancholic and wistful viewpoint to bookend an otherwise dystopian and defiant album. Bell's vocal on this one is excellent. Ultimately, if you enjoyed Demanufacture, you will enjoy this- it caries on where that left off and is a fine, fine album indeed. If you are new to the band, then this is a fine starting point. Fear Factory remains unique and I am pleased to report that they sound as vital as they did a lifetime ago.